If someone were to ask me what I enjoy doing, I would probably answer “working out and eating.” That’s a reasonable response, right? Well, maybe not for everyone, but I’m a unique personality so let’s just roll with it. Right now I’m in the midst of training for my next half marathon and so every weekend, I pick a new place to run and log those training miles. 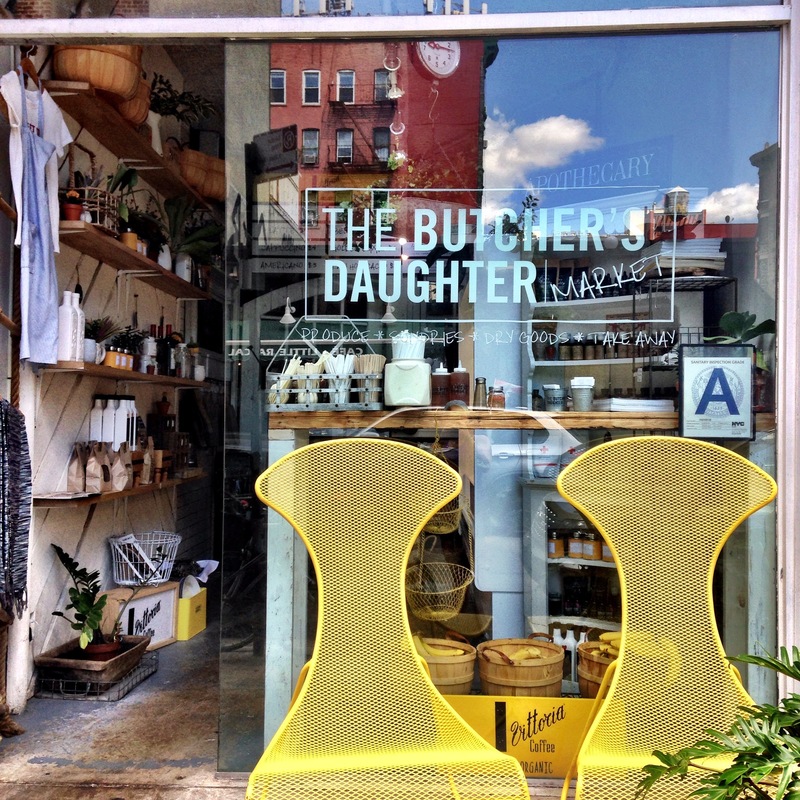 A few weeks back, I decided to create a route that took me down along the East River path, around Battery Park, and up the West Side Highway to finish at The Butcher’s Daughter. My good friend Marnie was kind enough to join in the fun and off we went to explore lower Manhattan. While I had a place in mind for breakfast, we were happy to stumble across some street art and secret gardens. It really is true that some of the best adventures in life are the ones that are not planned but rather created in the moment (or in our case, discovered by accident). Sitting outside would have been an excellent option, especially since we were a tad bit sweaty. This may require a slight wait since brunch, especially Sunday brunch, is THE thing to do and everyone and their mom is out and about. No really, brunch is a family affair. We opted for the inside dining experience, first at the bar near the window and then moving to the table in the far right corner. It’s more of a communal dining experience, which fits in the whole juice/earthy/slightly vegan-ish atmosphere and ambiance. ^^ How can you resist those white walls and green planters? It’s like we have found some sort of evidence that nature DOES exist in this concrete jungle. ^^ As you can see, the options were endless but sadly my budget was not (though if it were, I would be ordering EVERY SINGLE BEVERAGE, even those sketchy “biodynamic wines”. What does that even mean? 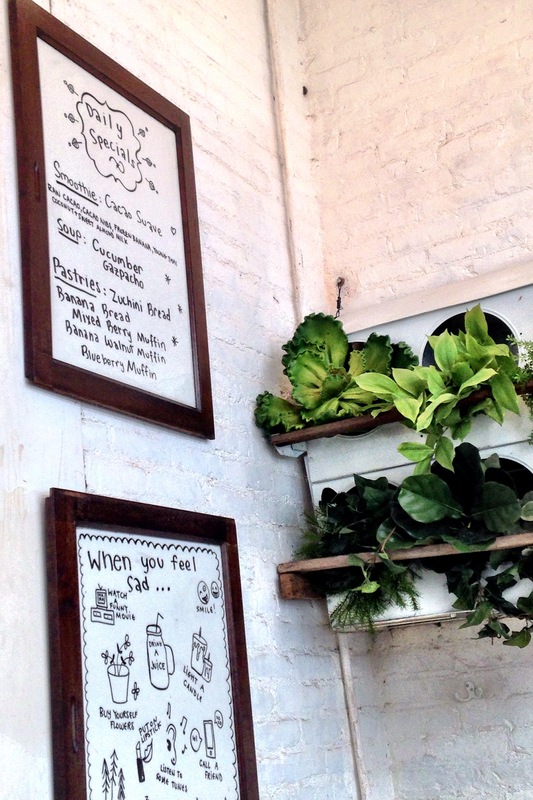 So, taking the menu into our own hands, Marnie and I decided to go ahead and split a smoothie (7 Minutes in Heaven) and then dig into our own power bowls – muesli for her and coconut parfait bowl for me. ^^ No time for a full brunch affair? Just next door you will find a quaint market with a good selection of muffins, brunch items to go and all the juices one could imagine. Really though, the way those juice boxes are lined up by color just makes me want to purchase ALL THE JUICES. The colors are memorizing and they have the same effect as when I enter into Target or the Container Store and all the boxes and knick-knacks are separated by shape or color and I end up purchasing far more than I realized/needed/thought possible. Curse the colors of the rainbow. We finished off the morning by wandering our way north to the subway, stumbling into a few more stores, picking up a few things at the art store, and adding more eateries to my to-do list. 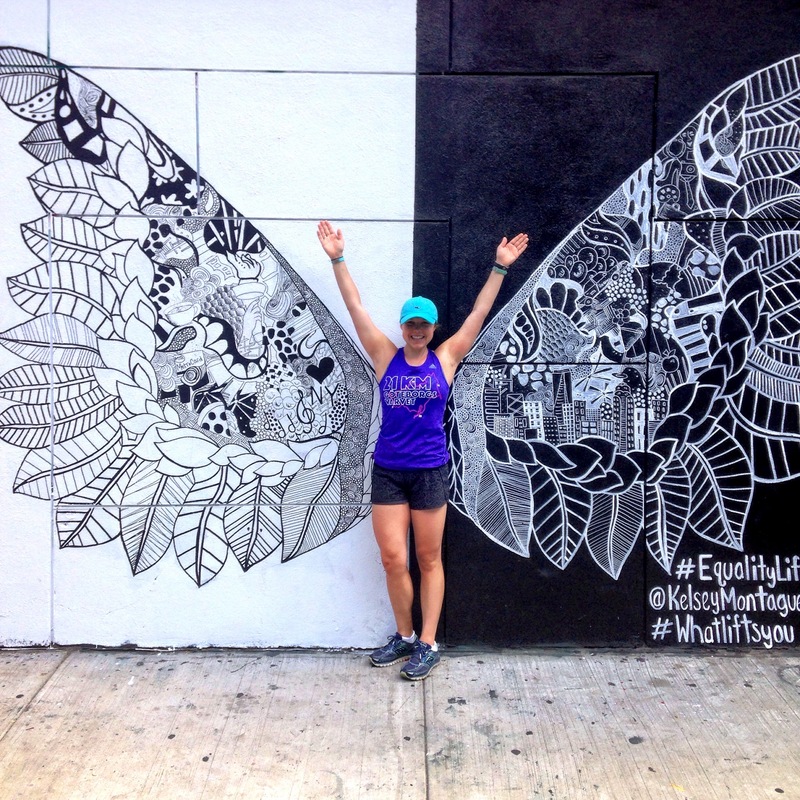 This entry was posted in Eating Out, New York, Running and More and tagged brunch, Butcher's Daughter, half marathon, manhattan, running, training by Kaitlin. Bookmark the permalink. 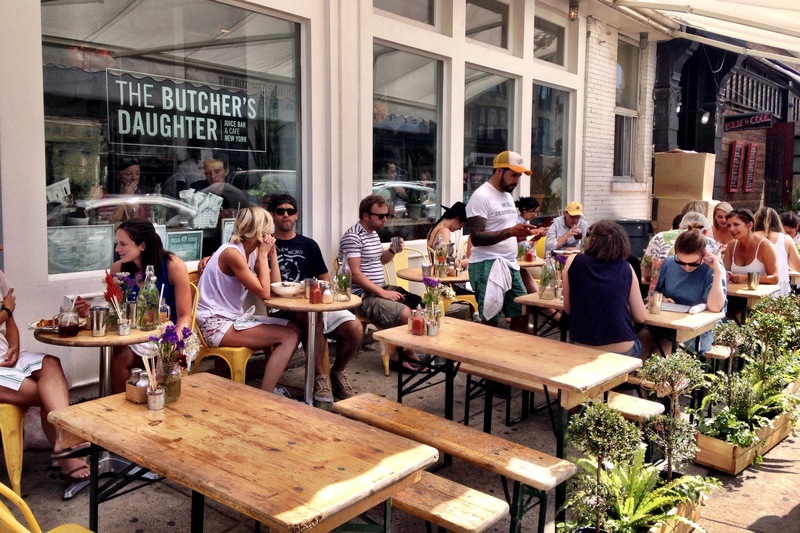 Loved my meal at Butcher’s Daughter 🙂 We need to collaborate our Bucket Lists – although I’m sure they’re already super similar! Yes yes yes! Foodie adventures! I’m obsessed with those juice boxes. I want all of them too haha. And your smoothie/power bowls looked awesome!! Let’s go here next time I’m in NY!